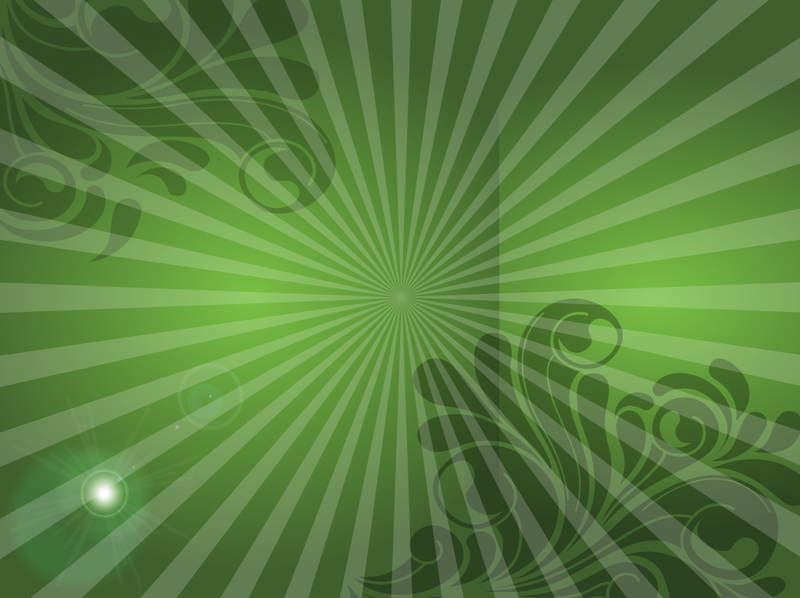 Split green vector background with an overlay pattern of rays coming from the center and scrolling plant ornaments at two corners. The opposing graphics balance the design and there's blank space in the center of the free download for text, logos, artwork or photographs. Tags: Copy Space, Leaves, Nature, Ornaments, Promotion, Starburst, Swirls.